Strawberry is the brand of modern generation and young blood. Birthmark gives you a spirited and fizzy creativity that presents a original idea. 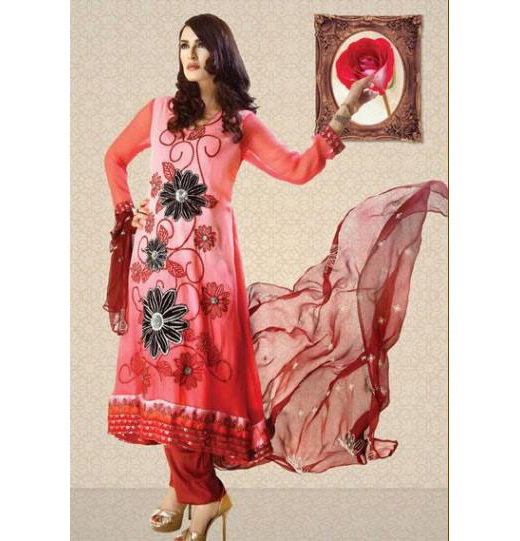 Strawberry Chiffon Collection 2013 for Women has been launched recently. The collection includes beautiful range of Chiffon dresses designs which is perfect for forthcoming Eid ceremony as well as wedding parties. In other words we say this is complete party wear collection by Strawberry and the big thing is Eid-ul-adha is coming after 15 days so this collection is also Bakra Eid collection. 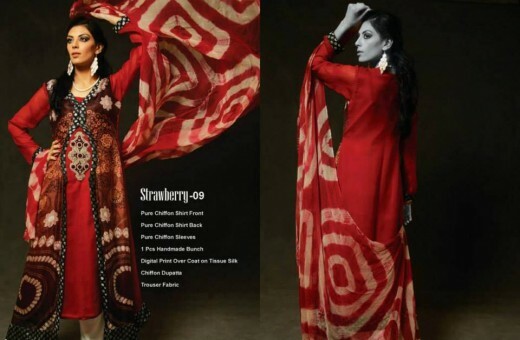 Let’s have a quick look on Strawberry Chiffon collection 2013 for Women. If you like this article, you might be interested in some of our other articles on: Beautiful Arabic Tattoo Designs, Swing Dresses Designs 2013, Medium Length Hairstyles Trends 2013 and Simple Ways To Clear Up Acne.